We are constantly checking our iPhones or going to the weather website to know the forecast, before heading out or planning any future outdoor events. I usually check to weather, to decide what I will be wearing that week or day, if it is going to rain or snow then I know not to wear any suede shoes. 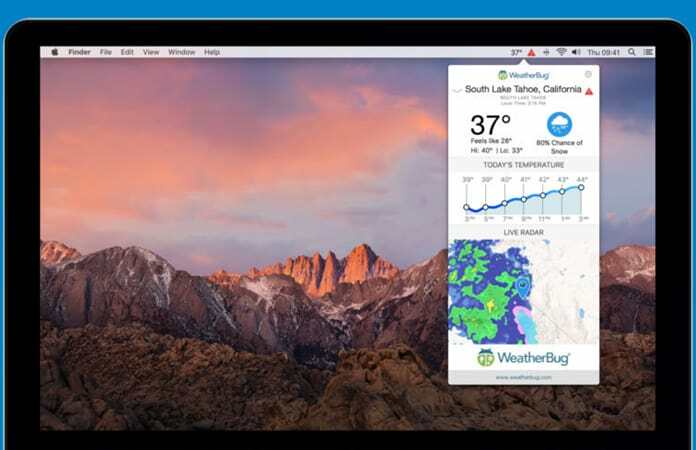 So if you’re anything like me or you are obsessed with the weather changes, you can check these weather apps for Mac OS. It is better to have one dedicated weather app, that you can rely on and check the forecast. So just choose an app which suits your preference from the following weather apps for Mac. You will see that the following apps are paid for and hence has more functionality than any other free or web-based weather app. Now, Radar Live is a full feature weather app with warning updates for any incoming thunderstorm, hurricane, hailstorm or more. It uses data directly from the NOAA, National Oceanic and Atmosphere Administration. It gives a detailed weather forecast for the day and future updates. It’s look like that the Radar Live weather app is made for the Mac, as it is minimally designed with a stunning interface. You can use the Radar Live to search for any images across the United States of America. The images are collected and compiled by the 155 NOAA radar stations available. The CARROT weather app is one of the best and fun weather apps for Mac. So, the weather app gives you forecast with some personality to it. The CARROT weather app is like Siri but with a fun attitude that will update the weather with a fun and snarky comments. Other than giving comments on the weather, it also plays scenes that will have amazing characters and one-of-a-kind images. You can get the weather updates hourly or daily. You can also view past forecast and use their predictions on a future forecast. The following apps are free to download on your Mac or iOS device. Few of the apps may offer in-app purchase to access more features. 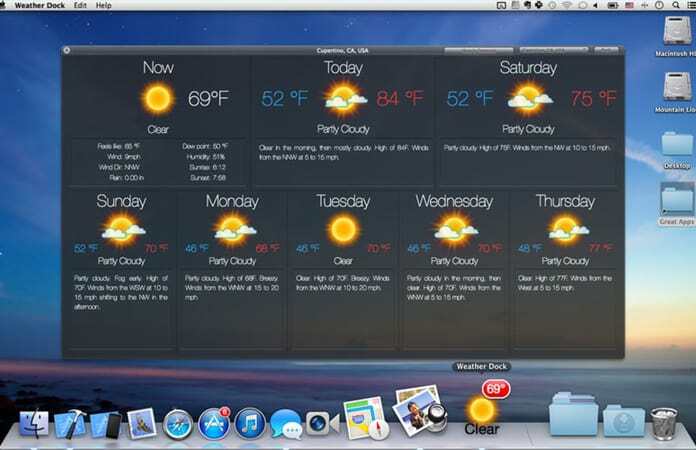 Weather Dock among the other Weather Apps for Mac, enables you to view animated real-time weather forecast on the Mac dock. To access more detail info on the weather forecast you can click on it. You are also able to view future forecast up-to two days. Now, the app also offers you to customize its look. You can select what you want the weather app to show such as, current forecast, future forecast, temperature, wind and more. You can also get the ability to add hours, future four day forecast, add more locations and other through the in-app purchases. 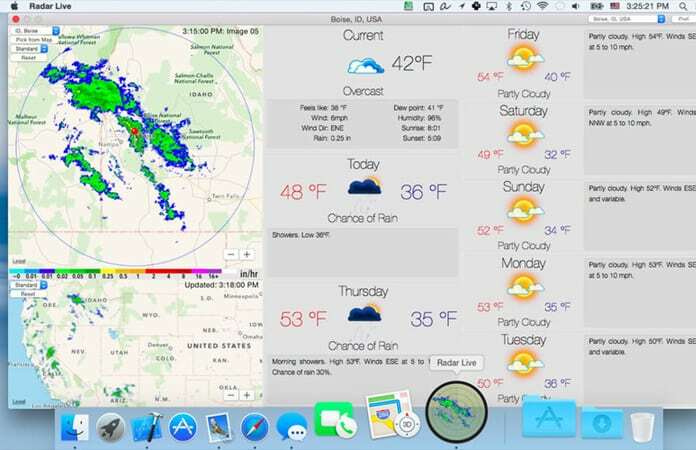 Now, this is one of the simplest weather apps for Mac. It gives you a detailed weather forecast, you can access it on the Menu bar. It uses current and hourly weather forecasts to show. You can also access the site by just clicking on the WeatherBug app. 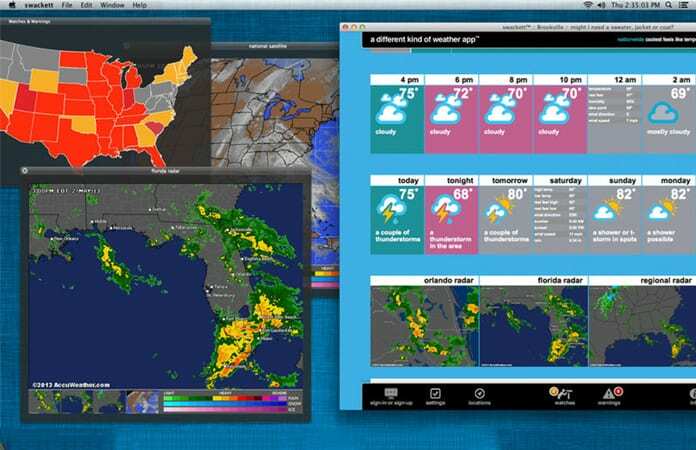 This is one of the popular weather apps for Mac that uses the complicated weather data and showcase into an easy to read graphical report. You can check the forecast by hours, daily, next day, local, regional, state and others. You can also download the app for your iOS device. 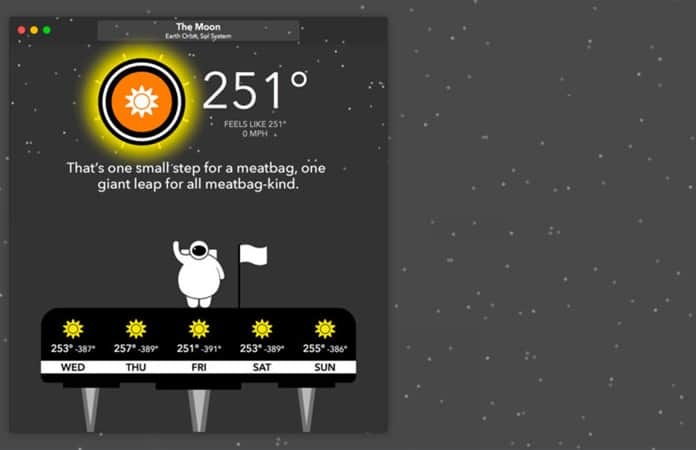 The Swackett weather app also allows you to add forecast onto your Notifications. There you go, you can use any of the above mentioned weather apps for Mac, to get an update on the forecast hourly or daily. Choose the weather apps that you consider is most useful to you. You can select apps like WeatherBug just to know the forecast or choose apps such as Radar Live for a more detailed forecast. Let us know in the comments below, how often you check weather forecast?